A delicious, stress-free meal might be the best present of all. While some people enjoy cooking on Christmas, your idea of a nice way to spend the day might be not cooking (or doing the resulting dishes). If you fall into this category, we have a Christmas miracle: several New Orleans restaurants will be open for the holiday. A delicious, stress-free meal might be the best present of all. We’ve got traditional options for you, Creole favorites, Japanese, Indian, Middle Eastern, and more to choose from. 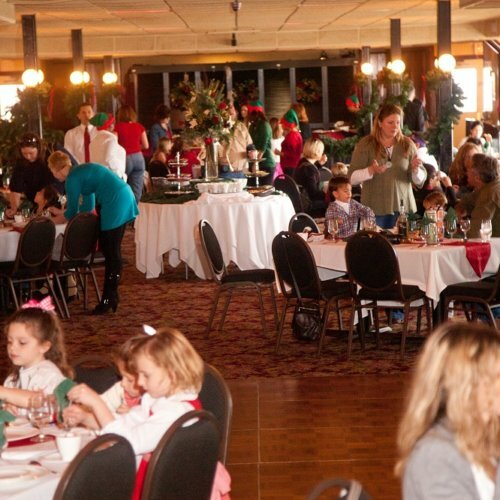 One of New Orleans’ many culinary traditions is Réveillon, a Creole multi-course meal created to celebrate Christmas. Almost 50 restaurants participate in the Réveillon dinners, which last from Dec. 1-31. Bombay Club Martini Bar & Restaurant, 11 a.m. to 10 p.m. — This is your chance to experience a traditional Réveillon menu (with or without a martini). 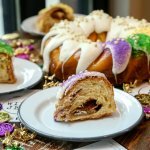 There will also be a live jazz performance starting at 8 p.m.
Borgne Restaurant, 11 a.m. to 9 p.m. — You can’t go wrong with anything that chef Brian Landry puts on his four-course holiday menu. 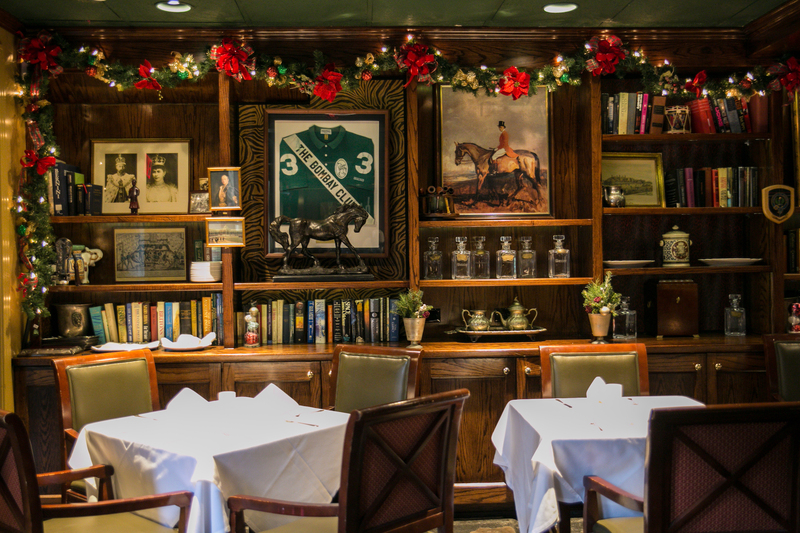 Broussard’s, 10 a.m. to 7 p.m. — Celebrate the holidays in one of the loveliest dining rooms in the French Quarter with a special three-course menu. However, be aware that there is usually a waiting list. 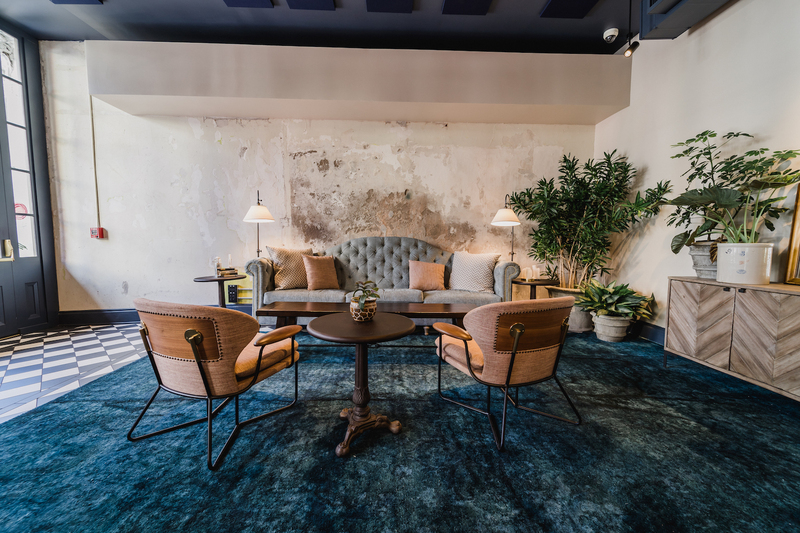 Cambria Hotel, 7 a.m. to 10 a.m. breakfast, 6 p.m. to 10 p.m. dinner — Celebrate Christmas at this trendy Warehouse District hotel, just three blocks from the French Quarter. Chophouse New Orleans, noon to 8 p.m. — Indulge in the holiday with a hearty steak dinner at Chophouse. Extras sides, please! Compère Lapin, 1 p.m. to 7 p.m. — Chef Nina Compton brings a family-style meal tinged with Caribbean flavor to her restaurant on Christmas day. Couvant, 7 a.m. to 10 p.m. — This restaurant located inside the Eliza Jane Hotel will include festive dishes on their Christmas Day menu, such as Beef Wellington, Bûche de Noëlle, and a Champagne special of Tattinger. Curio, 10 a.m. to 9 p.m. — Enjoy a feast of roast duck & black-eyed pea gumbo, grilled ribeye steak, and more on Curio’s Christmas Day menu. Domenica, 11 a.m. to 11 p.m. — Prix-fixe Italian and seafood dishes bring a European flair to the holidays. The menu also includes a few Domenica classics. Five Happiness, 11 a.m. to 10 p.m. (delivery after 5 p.m.) — Satisfy your Chinese food cravings and make it a laid back Christmas dinner with Five Happiness. Flamingo-A-Go-Go, 9 a.m. to 11 p.m. — Make a reservation for Christmas Brunch with bottomless mimosas and sparkling rosé for just $10. Fogo de Chao — Celebrate with family, friends, and a Churrasco feast. Dinner price all day includes seasonal menu items. Hard Rock Café, noon to 11 p.m. — Start your Christmas celebration with Hard Rock in the French Quarter. Jung’s Golden Dragon, 11 a.m. to 10 p.m. — All your favorite Chinese dishes are available for dine-in, take-out, or delivery. Holiday offerings include fresh-baked Peking duck served with duck soup (order a half hour early). Kingfish, 10 a.m. to 10 p.m. — Enjoy a contemporary Réveillon three-course meal. Lüke Restaurant, 7 a.m. to 11 p.m. — Serving the original breakfast, lunch, and dinner menu in addition to a special Christmas menu. Marché, 11 a.m. to 6 p.m. — Head over to Marché for an elegant Christmas Day buffet. Morton’s Steakhouse New Orleans, 2 p.m. to 9 p.m. — Enjoy a decadent meal of steak and potatoes. Nirvana Indian Cuisine, 5:30 p.m. to 10 p.m. — Samosas and curry make for a nice change of pace for your holiday dinner. Oceana Grill, 8 a.m. to 1 a.m. — If you’re feeling hungry even after your own Christmas dinner, this restaurant is open late to satisfy your late-night seafood cravings. Olde NOLA Cookery, 11:00 a.m. to 2 a.m. — It’s the sister restaurant to Oceana Grill. Visit one or both on Christmas day! Pat O’Brien’s, 5 p.m. to 2 a.m. — Why not visit the home of the hurricane on Christmas Day? Pizza Domenica, noon to 10 p.m. — Enjoy wood-fired pizza and the delicious cauliflower that everyone raves about. 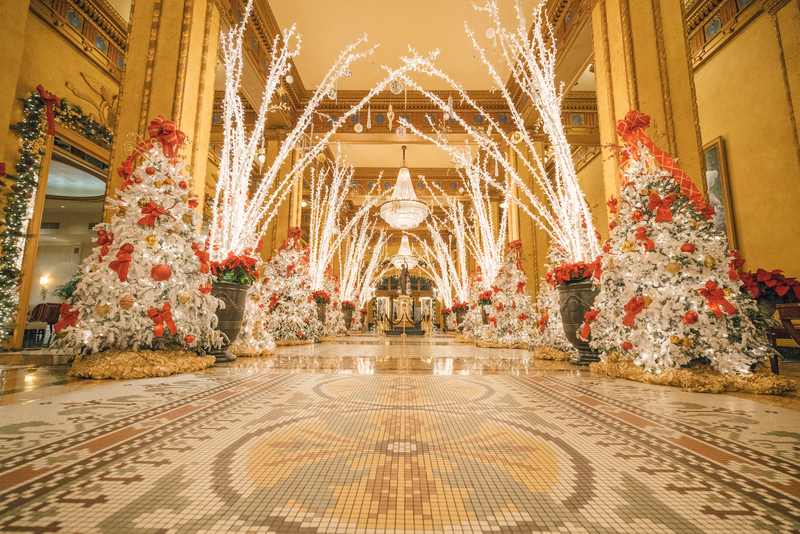 Roosevelt Hotel, 10:30 a.m. to 2 p.m. — The Roosevelt’s annual, traditional Christmas brunch buffet has plenty of different foods to choose from. Ruth’s Chris Steakhouse, 11:30 a.m. to 10 p.m. — Get your steaks (and don’t forget the fries!) on Christmas Day. Shaya, 11 a.m. to 10 p.m. — Shaya is open regular hours on Christmas Day, serving its fantastic regular menu. 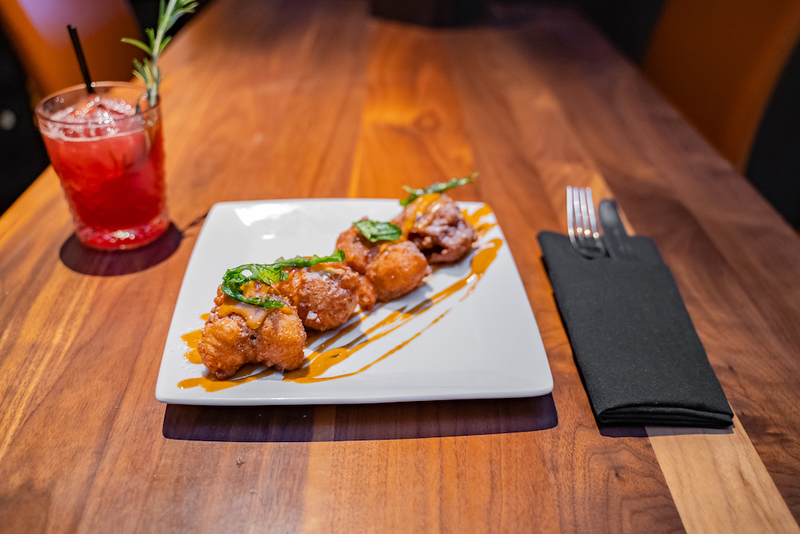 SoBou — Enjoy special menus designed by Chef Juan Carlos including a few of his favorite family recipes. Tommy’s Cuisine, 11 a.m. to 8 p.m. — Enjoy a three-course menu at this iconic Creole-Italian spot. Tujague’s Restaurant, 11 a.m. to 9:30 p.m. — A special four-course menu will be served at this classic New Orleans restaurant.